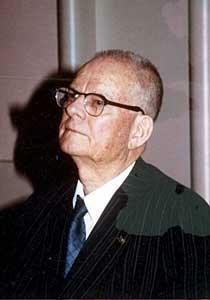 W Edwards Deming (pictured c1970) is The Quality Guru. Deming is most famous for bringing his flavour of scientific management to Japan after world war 2 and contributing to the wave of quality through systems thinkers popular in the mid to late 20th century. If you are looking at quality in the context of projects Deming is a good place to start. Read about him and his work to understand key concepts like the challenge in defining what quality is, and how systems can bring quality to organisations. A big part of what he introduced into Japan was the concept of managing Quality into processes rather than managing defects out, through inspection. He also introduced me to the idea of continuous improvement as a way of managing business operations. There is a good Wikipedia entry on him here. Projects tend to have a fairly mechanistic approach to working and the people on them usually think like engineers to Deming's approach seems a likely one to work in the project context.